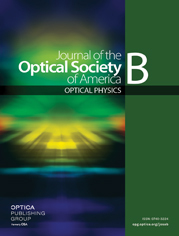 Observations of the self-deflection effect for an asymmetrical continuous-wave laser beam in sodium vapor are described, and comparisons based on theoretical calculations are made. A self-bending angle as large as eight diffraction widths was recorded, and strong attenuation of the on-axis radiation due to self-bending was measured. At ~200°C the self-deflection angle increased linearly with beam power, and we determined that (n2)max ≃ −10−7 cm2/W for intensities below 220 W/cm2. While numerical calculations, based on an inhomogeneously broadened two-level system, predict strong saturation of the self-bending effect, we observed only moderate saturation.